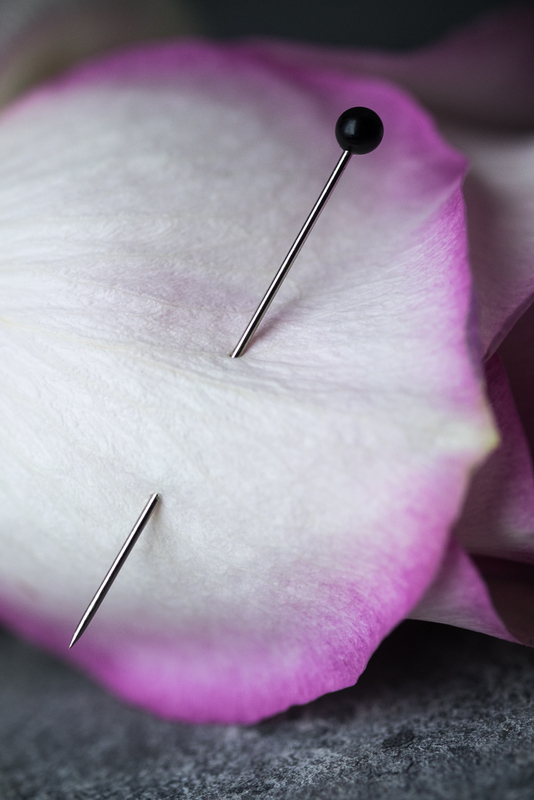 At 45mm long, these French, black glass head pins are strong, and quite beautiful. 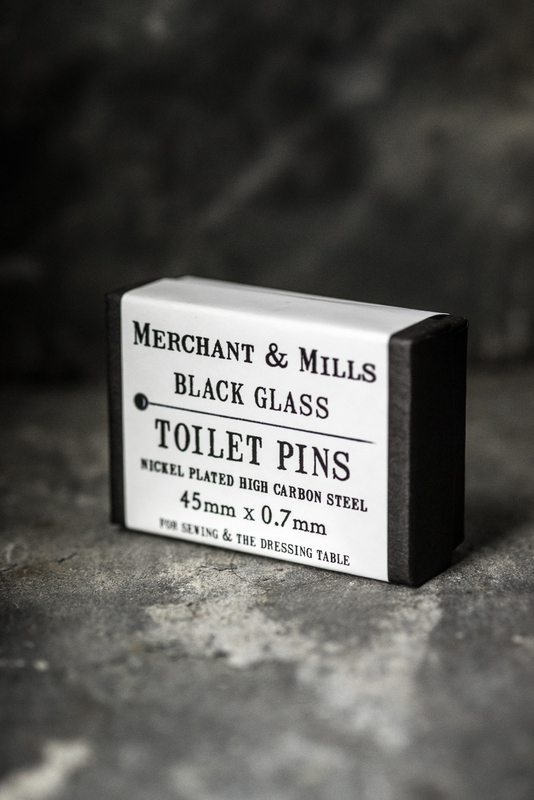 These traditional toilet pins are an unusual pin being quite long at 45mm. Before the button became commonplace, many clothes were pinned together and a lady would have pins on her dressing table. The toilet pins come from and era when one would need pins for hats, corsage,etc. These are made in Spain and used to pin together layers of very thick fabrics – particularly useful in curtain making. 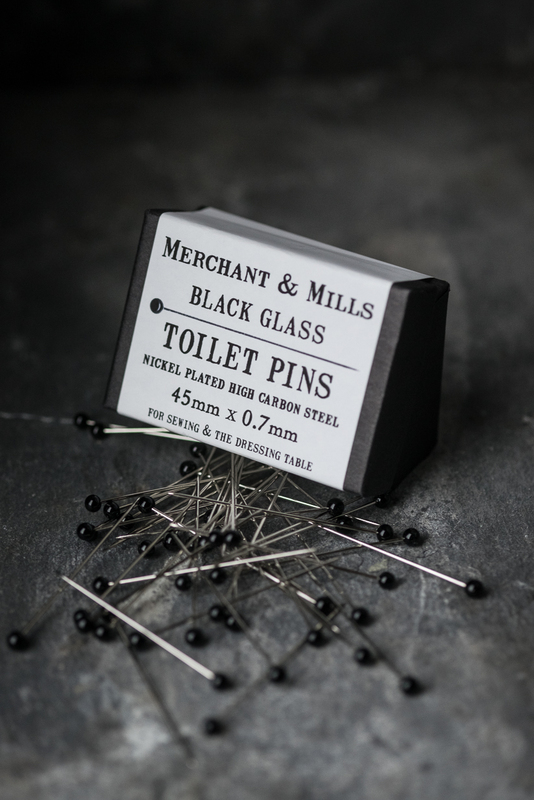 Please note the stem of the current batch of toilet pins is black.